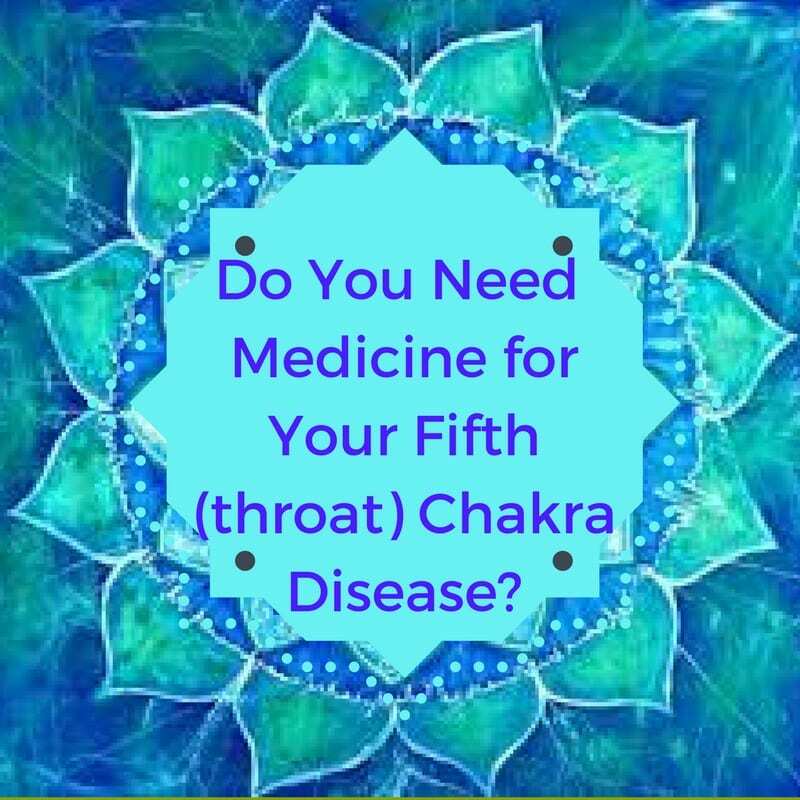 Do you need medicine for your fifth (throat) chakra disease? I firmly believe illness always has a root cause. When I got Lyme Disease, I knew it was about my third chakra — I needed to come into my power. When, as an Indian woman, I’d grown up to believe power was pretty much the domain of men. Ugh. So I had to un-think, un-believe, and un-learn all my family and cultural messaging. Decide what I wanted to keep and what I wanted to throw out. Phew. That took a good while. And there’s more I’m clearing out. And… open to, affirm, and live from new perspectives and beliefs about being in my power as a woman. The wonderful gift of it all is that it led me to my Soul Purpose: to help other women come into their Power and Truth. Are You dealing with a fifth chakra disease? If you are, then you might want to consider whether part of your medicine might be to find your voice and speak your truth. What’s a fifth chakra disease, you ask? So, if you’re dealing with a fifth chakra disease, some medicine for you might well be to find your voice and speak your truth. Which is common to most women on the planet at this time. If you’d like to heal, open and activate your fifth chakra, check out my upcoming offering: Women! Find Your Voice. Speak Your Truth. It’s an 8-week online group coaching program. It’s a great, fun, supportive way to address the root cause of any physical fifth chakra issues you might have. We have some great women signed up and a few spots left.